We are very pleased to announce two new additions to our family of animal costumes - the Duck Costume and the Lion Costume. 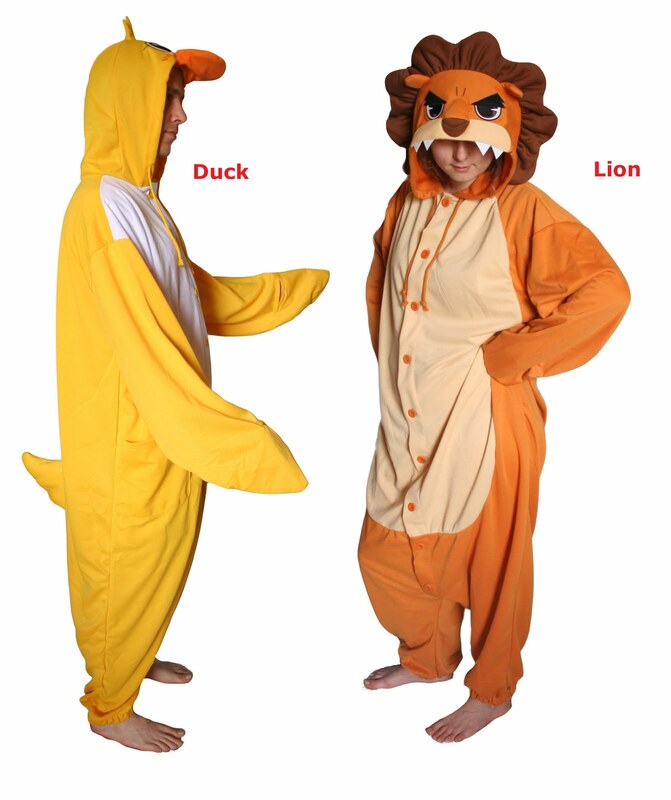 Both are available in the all-in-one Japanese kigurumi style, and both come in different sizes. They've been online for a couple of weeks now and are proving to be really popular. We've also recently welcomed back some old favourites including the Giraffe, Dinosaur and Seal. We are working hard to expand our collection of kigurumi animals even further in time for the UK summer festival season - watch this space for some exciting newbies including the super-colourful parrot costume!